…be fruitful and multiply and fill the earth. I will make you fruitful and a multitude of nations (Gen 17:5-6). God took ultimate responsibility for the great commission upon himself. And that’s what he achieved in Jesus – the “image of the invisible God” – who died and rose in the place of those who didn’t love him (or their neighbors) and commissioned them to make disciples so that God’s glory could fill the earth, in fulfillment of that original mandate. 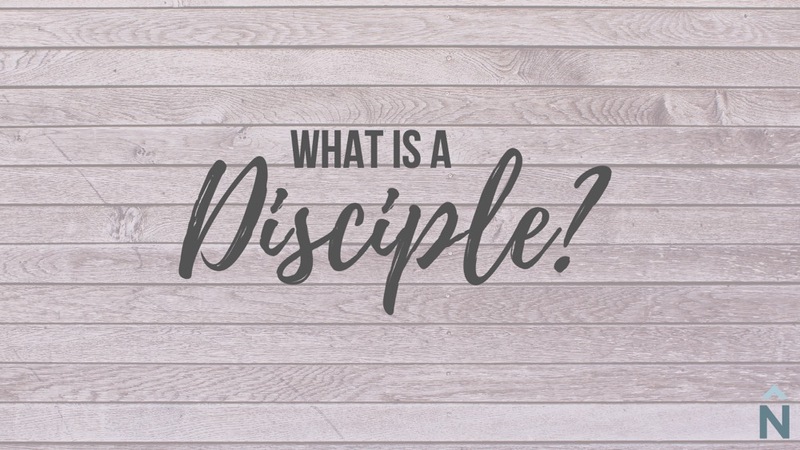 So making disciples who “learn Christ and lead others to do the same” is not ancillary to life, or an elective for super-Christians, but is basic to fulfilling our purpose as the people of God. God means to fill the earth with people who reflect his glory. Revelation says that one day that multitude will be beyond numbering – from every nation, tongue and tribe. How does the knowledge of God’s grace and the fact that God took on the responsibility of the great commission himself give you courage to turn towards Jesus and consider helping others to learn Christ? How does the certainty of the return of Christ and the ultimate accomplishment of the Kingdom give you courage to invest your life in making disciples? What might be holding you back from leading others to follow Jesus as you follow Jesus? Are you intentionally seeking to disciple anyone right now? Maybe it’s by formal or informal means. It could be in a small group, over coffee, playing pool, or taking walks, but it will involve: 1) a specific someone, 2) allowing the truth about Jesus to intersect with their everyday life, and 3) teaching them from the beginning the importance of passing on the faith someone else.